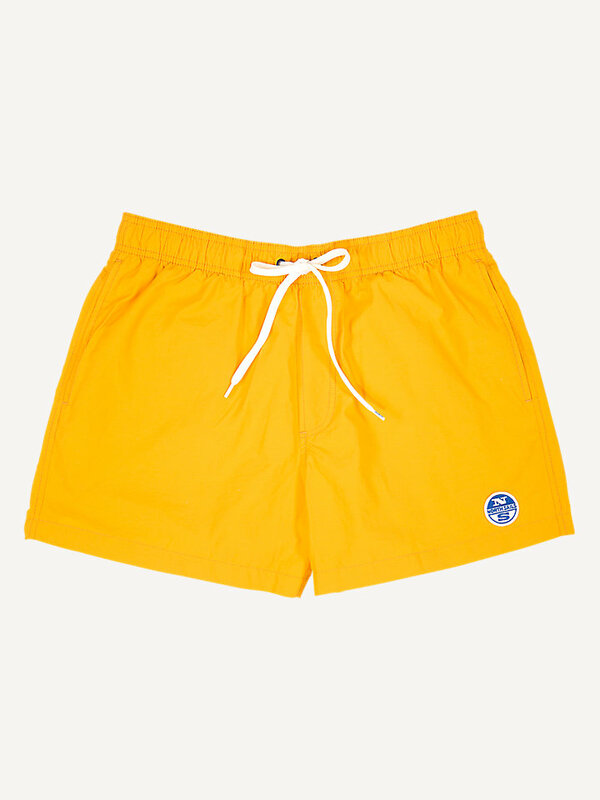 Lowell volley shorts in multiple colors. Perfect for a day at the beach or on the shore. Get your cruise under control in these sand to shore trunks. Available in multiple colors, with a fully elasticated waistband in contrast color and North Sails embroidery. It has stand pockets at the front and a patch pocket at the back, with a metal eyelet for drainage. 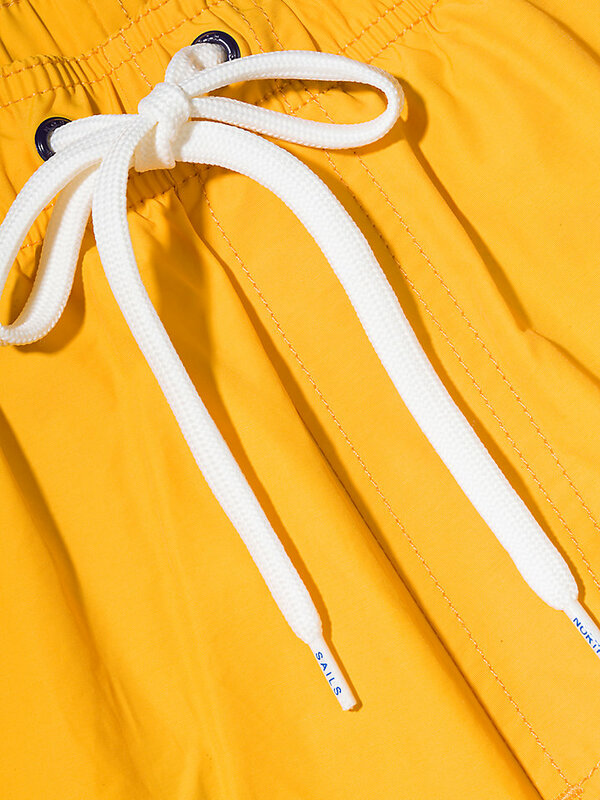 The cotton nylon Lowell volley shorts come with a little surprise: they have a hidden hydro print that is only visible after the touch of water. Dive in and see for yourself.